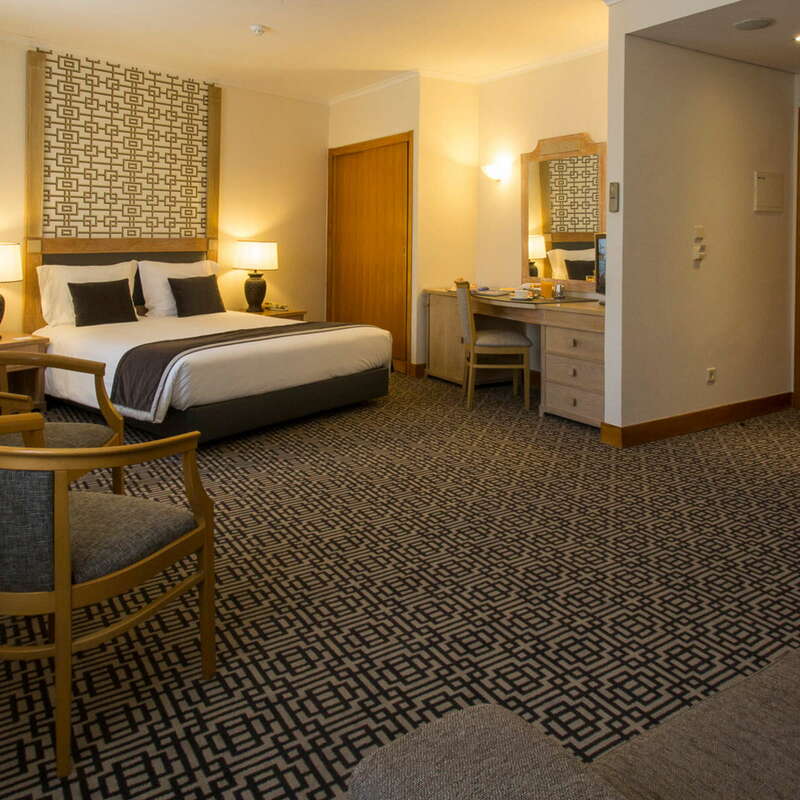 This large, smart hotel is ideally situated for nightlife and sightseeing, on a recently-revitalized square at the very center of the city. The formally run-down Praça Martim Moniz now hosts regular street food fairs and pop-up cocktail bars, and sits prettily beneath Lisbon's castle walls. 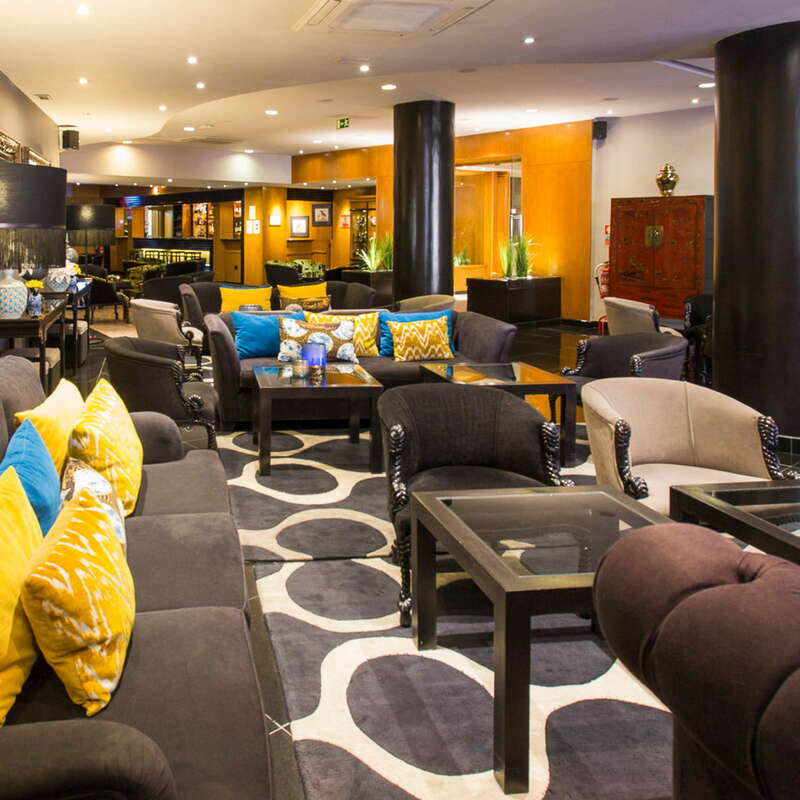 The recently-refurbished hotel is just steps from the famous Rossio and Restauradores squares, and offers formal service and a an elegant restaurant as well as a rooftop bar that has become a favorite haunt among fashionable young Lisboetas. The famous 28 Tram, which takes in the sights of Alfama and the Baixa, sets off from Martim Moniz square, just steps from the hotel. 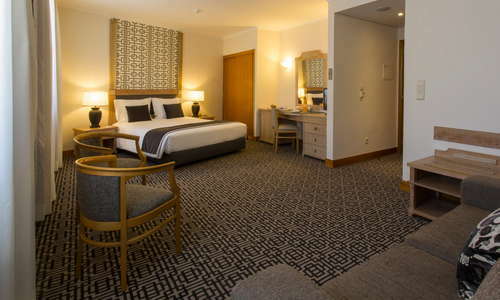 The 350 rooms and suites at this 1950s hotel have been brought up to date thanks to a recent renovation, and now offer comfortable, contemporary accommodations, although the neutral decor is a little underwhelming. Most rooms look out onto the lively Martim Moniz square, some have views of the castle, and a select few have balconies. Rooms with connecting doors are good options for families. Some rooms have a view of the castle and others to the renovated Martim Moniz Square. A few rooms have balconies and others have communicating doors. 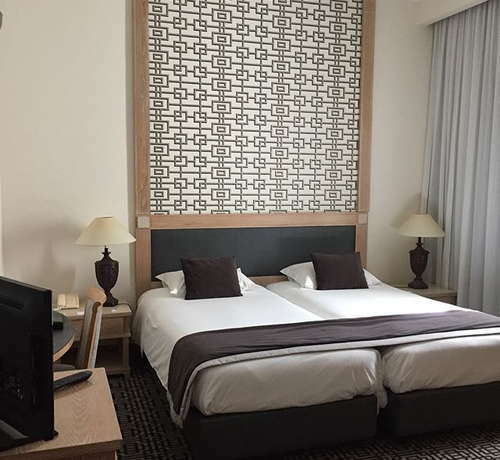 The rooms have comfy beds, effective air conditioning, and convenient extras such as in-room Wi-Fi, mini-bars, and LCD television sets with international cable channels. YOU SHOULD KNOW Several convenience stores nearby mean guests have little reason to pay the inflated prices for drinks and snacks in the mini-bar. The spick and span bathrooms have tubs with overhead showers, lots of pale marble, and the same soft, neutral tones as the bedrooms. Robes, slippers, and hairdryers are standard in all rooms, and the amenities are from retro-chic Portuguese brand Lisboa. The lobby at Hotel Mundial is a mix of classic and contemporary styles, with vintage-style furnishings sitting in a sleek, modern space jazzed up by colorful flowers and cushions. The lobby bar is an inviting option for a reviving drink, and serves a good selection of Portuguese wines by the glass. Hungry guests at Hotel Mundial have a number of options. There are al-fresco drinks and snacks with a view at The Terrace, which is also the setting for spring-summer breakfast and holds regular summer barbeques. Adjoining the terrace is the fairly informal Jardim Mundial restaurant, which serves Portuguese and International lunch and dinner options, with views over busy square below. 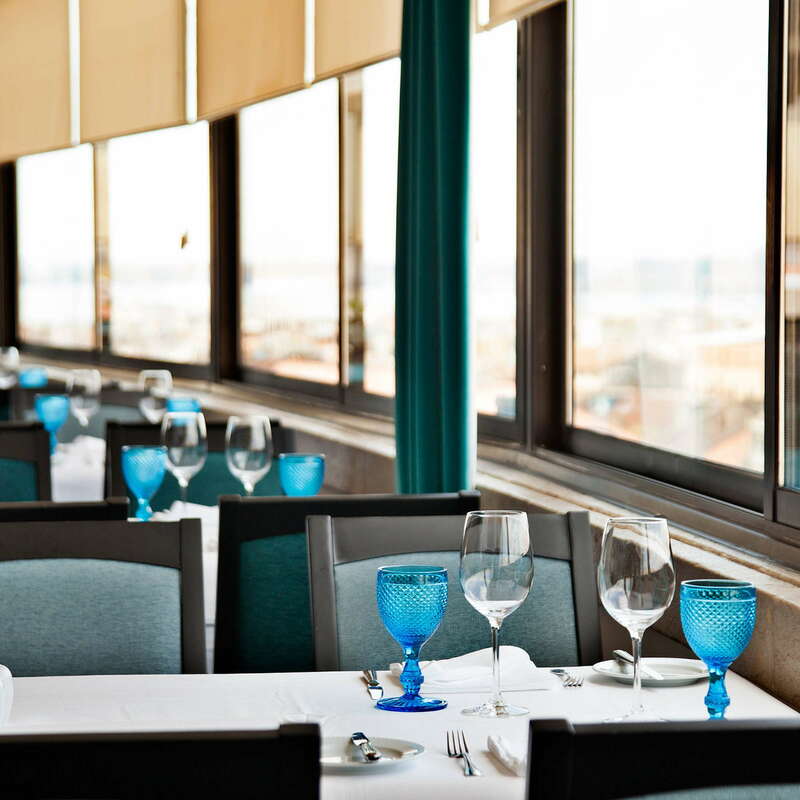 For more upscale dining, the Verandas da Lisboa restaurant on the 8th floor has dramatic panoramic views, evening piano recitals, and a menu that is strong on Portuguese fish and seafood dishes. 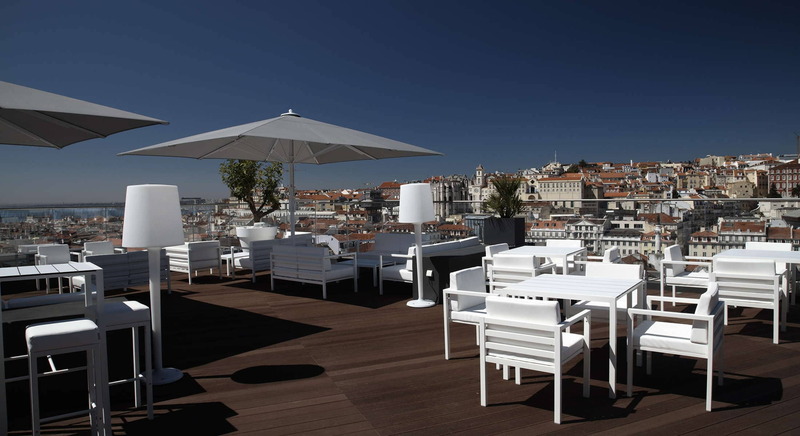 Guests at Hotel Mundial can rest assured that they're within easy reach of one of Lisbon's coolest summer drinking spots - the hotel's Rooftop Bar is a firm favorite among fashionable locals, thanks to its 360º views over downtown Lisbon and across the River Tejo. Open year-round, the bar serves cocktails and small plates, accompanied by a varied musical menu from local DJs. The downstairs lobby bar is a quieter, more relaxed affair, where guests can relax with a whiskey or wine without fighting for a seat or getting served, while the Premium Winehouse is a small, intimate spot offering wines and deli items to eat in or take away. The Rooftop Bar is very popular with locals June through September--it's worth getting there early to bag a seat and enjoy the sunset. 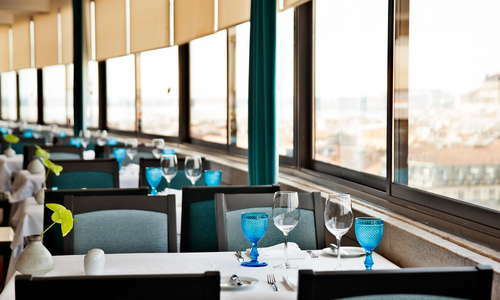 Hotel Mundial has an excellent location for getting to know Lisbon, whether on foot or by public transport. The city's most famous tram route, the 28, departs from just in front of the hotel, and it's just steps from a metro station. The famous Rossio and Restauradores squares are a few minutes' walk from the hotel, and it's a short stroll to the grand plazas and bars along the waterfront. The St George castle and other Alfama attractions can be reached on foot, but the tram takes the strain out of the journey. At Rossio, fast trains depart for the beautiful town of Sintra, making an ideal day trip. This multi-cultural neighborhood has some of the more interesting (and fairly-priced) dining options in downtown Lisbon. Try the Portuguese-Indian flavors at Tentações De Goa (3-minute walk), a small but welcoming spot with a good reputation for its traditional Goan dishes, or for something more typically Portuguese, take a stroll to Restaurante Zé da Mouraria (4-minute walk) a long-established local favorite serving delicious, hearty portions of traditional Portuguese dishes in an unpretentious setting. 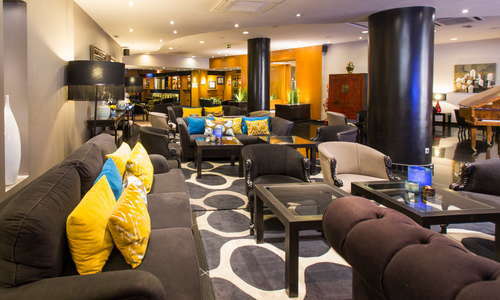 The hotel is well-placed for sampling Lisbon's famously lively nightlife. As well as it's own rooftop bar, it's very close to Topo (2-minute walk), another rooftop favorite whose opening was a major turning point in the gentrification of Martim Moniz square. A little farther away, Miradouro da Graça (14-minute walk) is a viewpoint with terrace bars attracting crowds late into the night, all year round. This is a recently-refurbished hotel, with a wonderfully central location that benefits from the revitalization of Martim Moniz square. Its rooftop bar is a destination drinking spot, and Lisbon's attractions are all within easy reach on foot or by public transport, most notably the legendary 28 tram. Service is good, and the rooms are comfortable and well equipped.